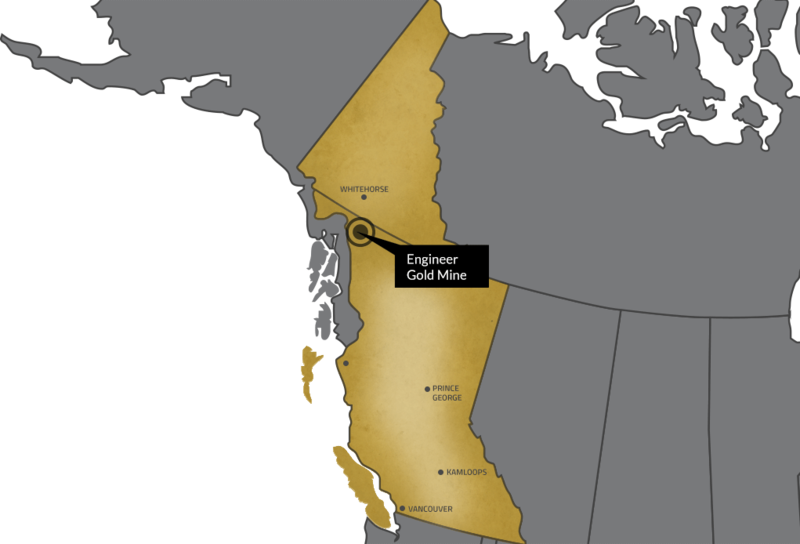 Engineer Gold’s mandate is to explore and develop the Company’s 100%-owned, 14,020 ha Engineer Gold Mine Property, centred on the Historic high-grade Engineer Gold Mine situated 32 km southwest of Atlin, B.C. Recent exploration at the former producer has identified a small, high-grade gold Mineral Resource, numerous high-grade vein and shear-hosted bulk-tonnage gold exploration targets and a small, high-grade gold production opportunity. Engineer Gold is fully permitted for surface and underground exploration drilling, mine de-watering, small-scale test mining and on-site milling at the Engineer Gold Mine Property. The Company plans an active exploration, drilling, mine-dewatering, test mining and milling campaign in 2018 and 2019.